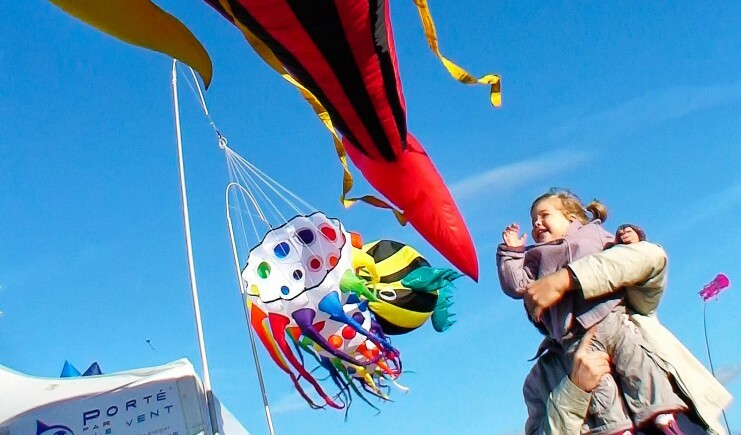 The outdoor kite exhibition presents the 5 kites families : curves, flats, cellulars, traditionnals and vintage. The spectators will be amazed by all the colors and shapes of our collection while discovering history and kites tradition. Can be settled in malls, libraries, indoor public places. 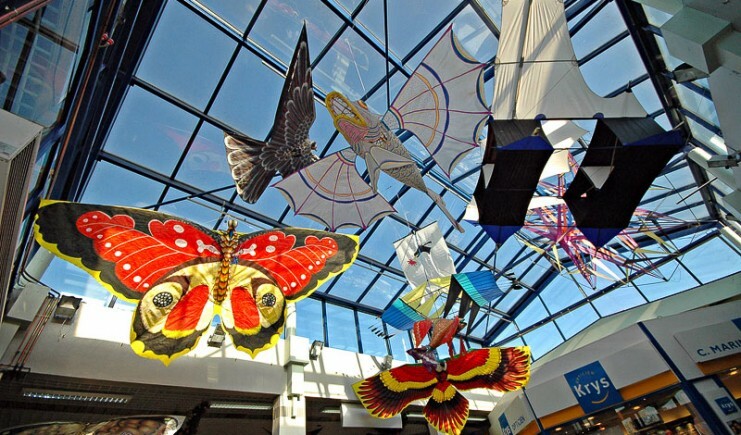 Out door exhibition presents wind turbines, banners, wind tunnels, a tent, kites and music. It creates an out of time festive atmosphere, settling a magical and stunning place around air theme. Visible from far away, spectators will be amazed by colorfull shapes moves. Can be settle outdoor: on city squares, in city centers, avenues or nature.